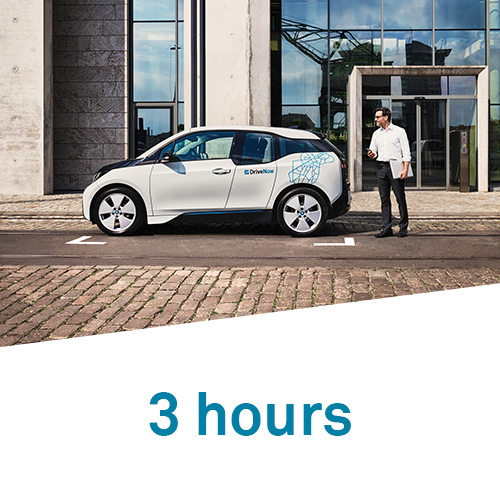 The normal price for joining DriveNow is DKK89 and includes 30 bonus minutes free of charge. 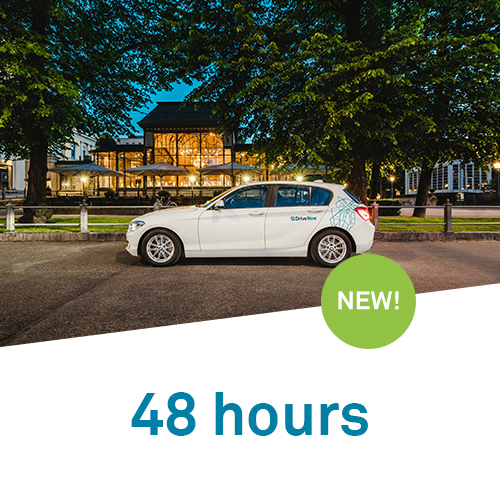 The price per minute includes everything - insurance, charging and fuel, parking, and access to hundreds of premium BMW 1 Series, MINI Cooper, and BMW i3 cars. 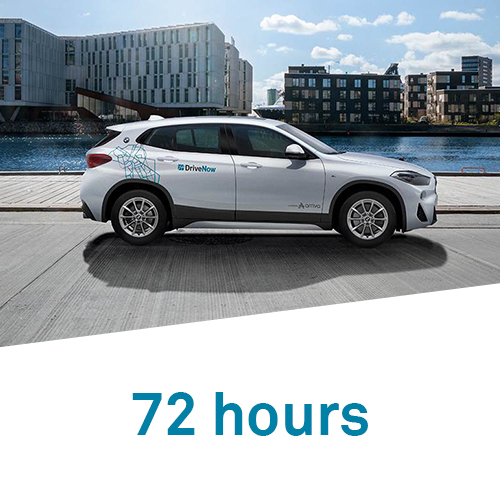 After the initial payment, you have several options on how to use DriveNow - pay per minute, Hourly Packages, or the Savings Package. Find out which option suits you best further down this page. 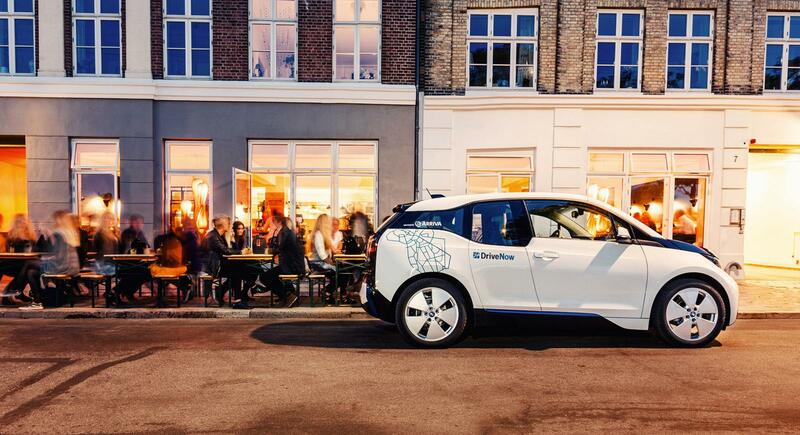 Use the DriveNow cars whenever the need occurs. Find a car with the Drive’n Save icon and drive for as low as DKK 2/min. Drive’n Save is a concept, that differentiates the price on our cars, depending on their location and availability. The car is yours for a fixed number of hours. This product is perfect for longer trips - trips to the family lunch, the museum, or IKEA. A fixed number of minutes at a consistently low price. The perfect fit for the daily driver and regular users. This product provides you with the same benefits as always, but at an even lower price. Plans for visiting someone outside the city or visiting that museum you've always wanted? 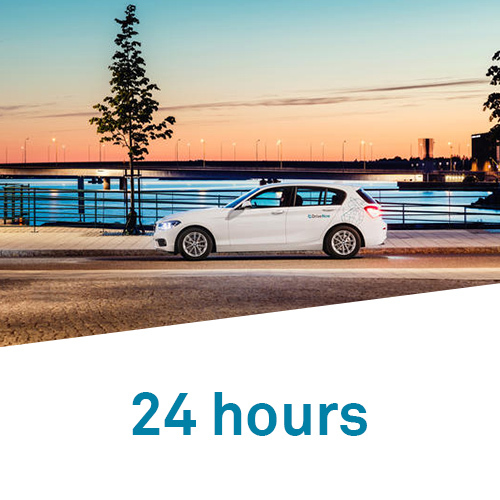 DriveNow Hourly Packages are just for you. 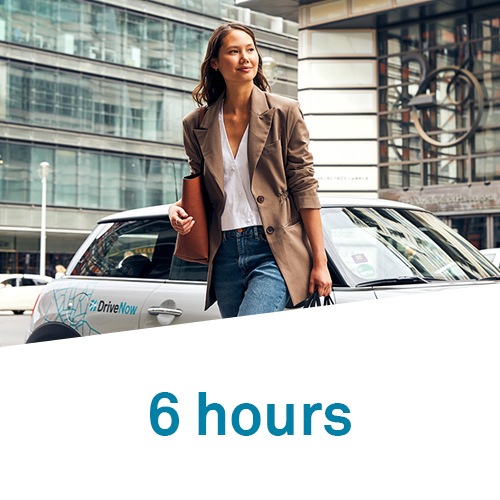 Book a car for a fixed number of hours, including insurance, petrol, charging, and parking inside the DriveNow Zone. The Hourly Package is valid for the reserved car on the current trip only and can only be bought after a reservation has been completed and before the car is opened. DKK 2 for each additional kilometre. If the trip time exceeds the number of hours included in the package each additional minute costs DKK 4. DKK 2, DKK 2,5 or DKK 3/min.